After hearing some rumblings in the pizza community of a pizzeria on Houston Street that slid under my radar, I tucked the intel in my back pocket and added it to my "Pizzerias to Investigate" list. 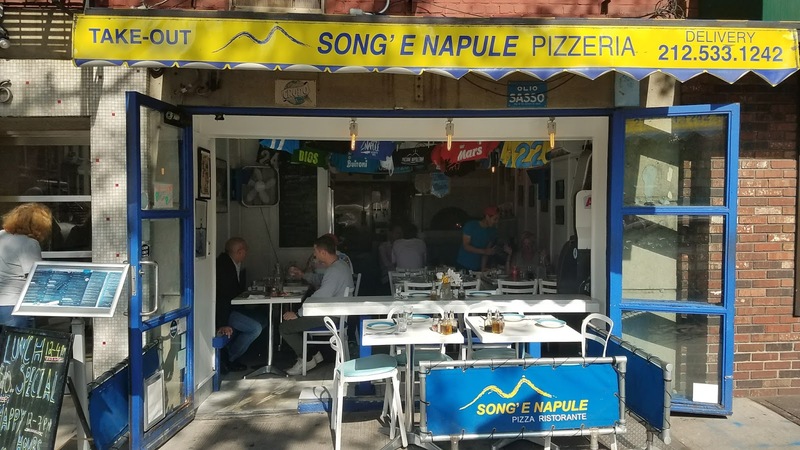 Just as the name was fading from memory, I happened upon Song' e Napule by happenstance, as if the almighty Pizza Gods were trying to tell me something. As it turns out, they were: "Eat some pizza," they whispered, or perhaps that was my stomach talking. 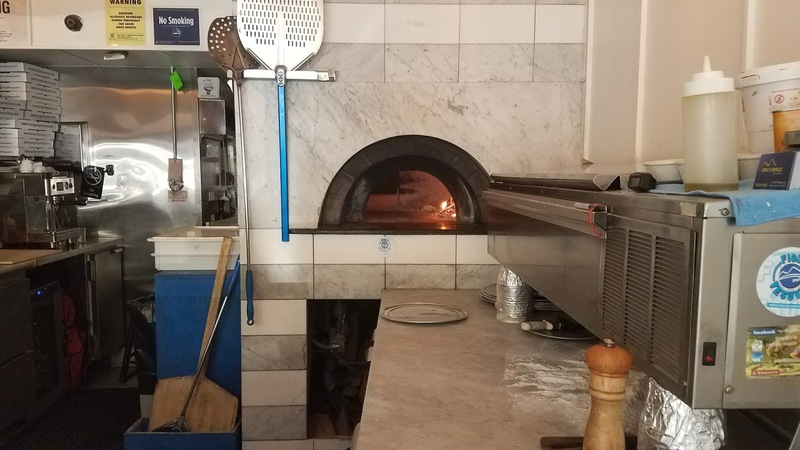 Regardless, I found it impossible to resist stopping into this tiny joint, and the moment I traversed through the door I was transported straight to Naples. Just like many of the pizzerias up and down Via Tribunali, the walls were adorned with scenic photos of the Amalfi coast and the requisite autographed photo of Napoli legend Diego Maradona - but as is always the case, it was the wood-burning oven that caught my eye. Originally an outpost of the Upper East Side's popular pizzeria Mezzaluna, Song' e Napule came under new ownership with Neapolitan Ciro Iovine and his wife, Austria. Ciro's jolly demeanor immediately sealed the deal as he slapped me on the back and pulled up one of the few remaining chairs for me at lunchtime and without a moment's lapse I ordered the ol' scientific control, a classic Margherita. What a fine specimen! 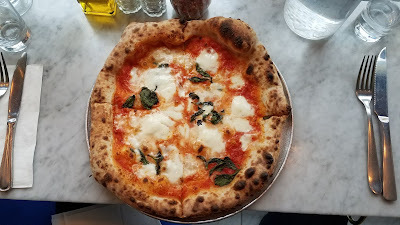 In typical fashion the pizza arrived in 2 minutes, but not before I was given a basket of sourdough and ricotta (as if scarfing this whole pie alone wasn't enough for lunch). Look at that beautifully puffy cornicione! Absolutely gorgeous, with leopard spots to boot. 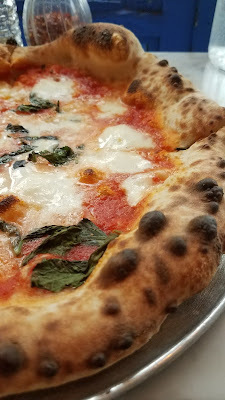 Ciro proofs his dough for 72 hours to get a result like this - there truly aren't any shortcuts employed here, and the flavor of the crust was deep and sweet with plenty of moisture retained from the hot, short bake. I also have to say - this to me is the perfect amount and distribution of basil. 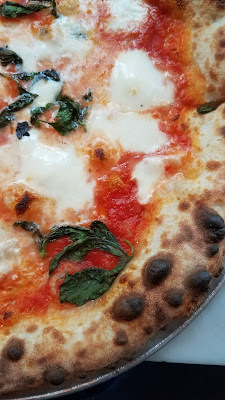 In an ideal world, I want a piece of that green with every mouthful for a fully-balanced bite, not one dinky leaf per quarter of the pizza. Other Neapolitan joints take notice! Already bursting (I wolfed more of that sourdough than I should have), the meal ended with an unexpected Strawberry panna cotta dusted with powdered sugar. 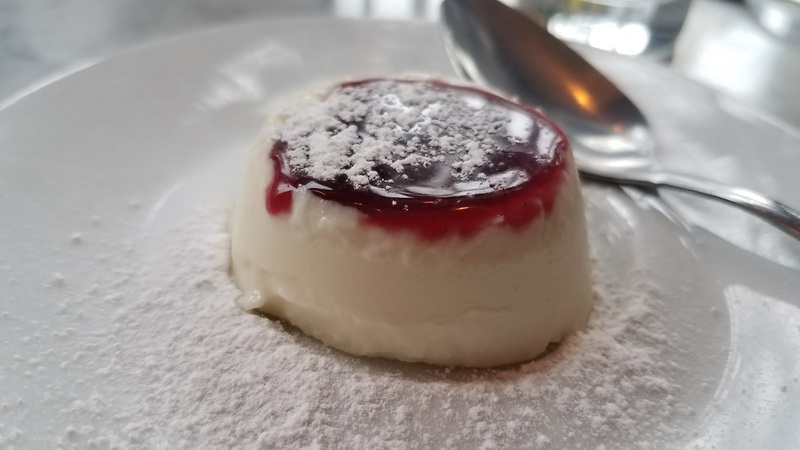 I'm no connoisseur when it comes to Italian desserts, but this was divine. The total? $12 for the bread + ricotta, Margherita, and dessert! That's a fair price just for the pizza, but the added courses and outstanding quality make this a total steal. My name is Brooks Jones, the Pizza Commander, and I love pizza. Questions/comments/insight? I'd love to hear from you! Brooks Jones, Pizza Obsessive on "Slice"